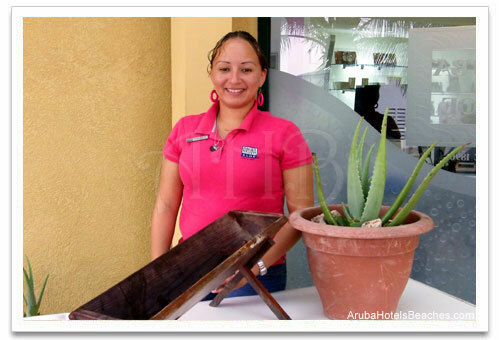 The Aruba Aloe Museum and Factory Tour is an Aruba attraction and one of the many activities in Aruba that you can participate in. I suggest you take one of the Aruba Tours, go by taxi, or Aruba car rental. It is not a good idea to take the bus since you would have to walk a distance from the bus stop. The tour does not take very long, it takes about 20 minutes and is free. 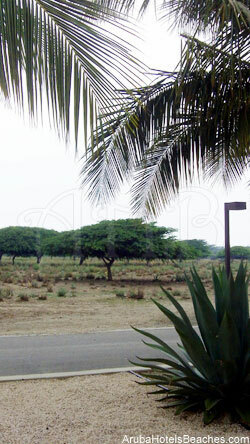 The factory is located fairly close to the hotel area at Pitastraat 115, Hato. The tour runs about every 15-20 minutes and the factory is open M-F 8:30am-4:00pm; Sat. 9:00am-12 noon; closed Sunday. Once you start the tour you are not allowed to take photos inside the factory of the production process of the products. The factory is not very large but it is well organized and very clean. The aloe fields outside the factory are the same fields where the original plants were grown in 1890. 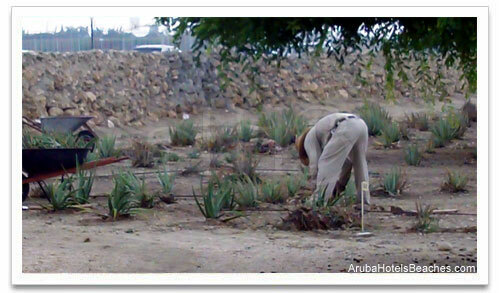 Louis A. Posner is the managing director of the Aruba Aloe Factory. Our tour guide was a young woman named Erelyn Silberie. She explained how the plants were grown and cared for, and showed us how the plant is hand cut and skillfully filleted within 6 hours of harvesting to retrieve the therapeutic gel and its rich and powerful nutrients. This amazing plant has been used for over 3000 years as a laxative and for other medicinal purposes, and the gel is still used in cosmetics to moisturize and preserve healthy skin. 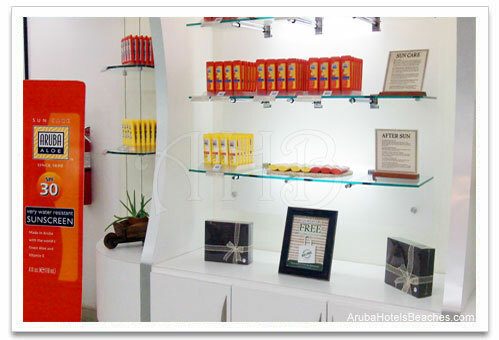 Aruba is known to produce the world's finest of these products, and every product contains 100% pure Aruba Aloe Vera gel. There is an interesting museum inside the factory which explains the history and wonders of the this plant and the beginnings of the Factory. 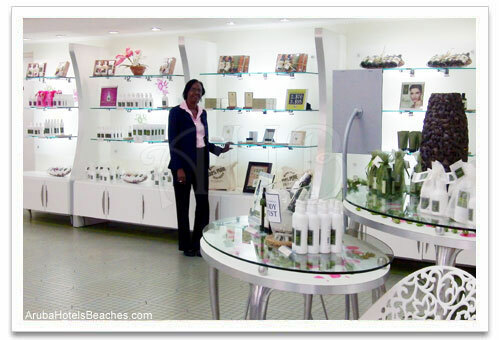 You will also find a store where you may purchase some of the amazing products. The prices seem to be the same as the other stores that you will find around the island. While shopping in Aruba, I found the Aruba Aloe store at the Paseo Herencia Plaza actually had sale prices the week we were there. It seems to be cheaper if you purchase the items in packages rather than single items. 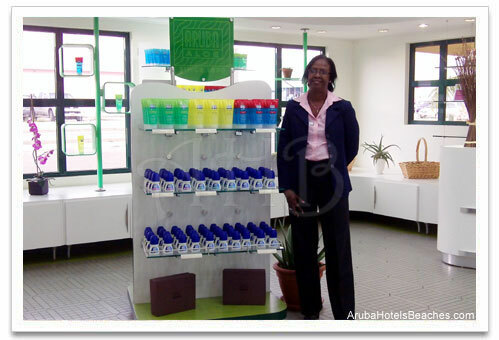 These photos below are of the store at the Aruba Aloe Factory and Museum. 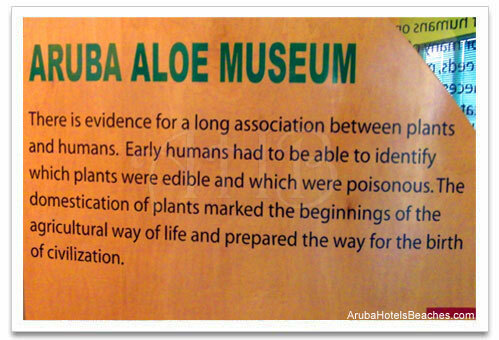 If you are looking to escape the sun for a few hours and are looking for interesting things to do in Aruba, I suggest the free Aruba Aloe Factory and Museum tour. I enjoyed learning the early history and the many uses of this amazing plant. It doesn't take long and you still have plenty of time to enjoy other Aruba activities! Don't forget to view the other Aruba sightseeing tours.